On October 27, the Big Apple Circus made its return to Lincoln Center, just in time to celebrate its 40th anniversary. Created by former European street performers Paul Binder and Michael Christensen, Big Apple Circus debuted in New York City’s Battery Park in 1977, relocating to Lincoln Center in 1981. Over the years, it became a New York City holiday season staple. However, unable to recover from the 2008 recession, the nonprofit, one-ring circus filed for bankruptcy in 2016. Last February, Big Top Works purchased Big Apple Circus and set to work restoring the beloved show and returning its performers to work. Local 802 (New York City) Business Representative Marisa Friedman is in charge of the AFM contract covering the Big Apple Circus musicians. “Our main concern was that the circus would continue to use live music and that the musicians who worked for the old circus would continue to work for this new one,” she says. “Negotiations went very well. It was clear that the circus valued live music and wanted to make a fair deal with Local 802.” In the end, the union negotiated an improved three-year agreement for the musicians. According to Big Apple Circus Conductor Rob Slowik of Local 802 (New York City), the show’s band has eight permanent musicians. “Everybody who is on the new primary hiring list has played with the circus before, but a few of the former musicians moved out of state and are doing gigs in other parts of the country,” he says. 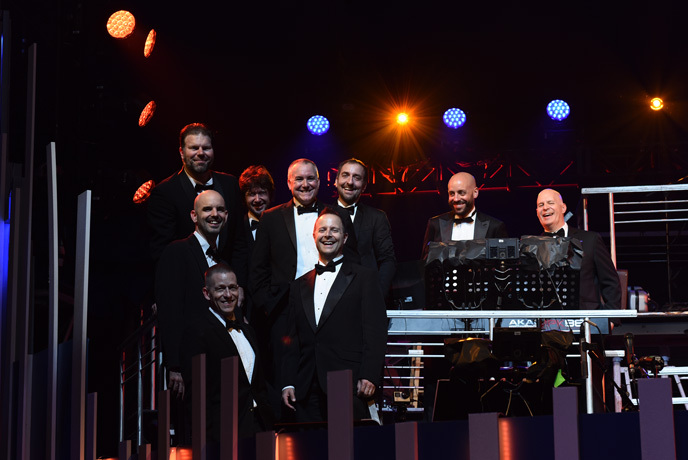 The Big Apple Circus band (L to R) back row: Wages Argott, Jacob Levitin, Jeff Barone, Brian Killeen, Patrick Firth, and Michael Bellusci; middle row Neil Johnson and Jim Lutz; in front, Conductor Rob Slowik. Among new band members is Local 802 and 256-733 (Birmingham, AL) member Wages Argott, a trumpet player who was the bandleader for the Ringling Blue show that closed earlier this year. Slowik brought him on as associate conductor. “It’s nice that I have a sub who has already conducted thousands of circuses,” says Slowik, also a trumpet player. A couple other former Ringling musicians are on the sub list for this year. 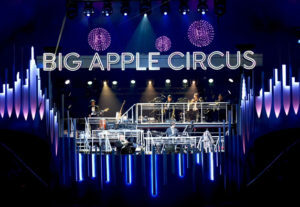 The musicians of the Big Apple Circus band have returned to their bandstand with an improved three-year AFM contract negotiated by Local 802 (New York City). Among performers headlining the new show are world record holder Nik Wallenda and the Fabulous Wallendas, trapeze artist Ammed Tuniziani of the Flying Tunizianis, as well as Grandma the Clown, who has returned from retirement. On occasion, Slowik says he has even become a part of the act. He recalls a skit he did with Grandma the Clown where he was hoisted 30-feet up in the air to play his trumpet. “It was a lot of fun!” he says, adding that he looks forward to something like that happening in the future. The new Big Apple Circus show premiered October 27 and runs through January 7. After that, it will begin an East Coast tour with stops between Atlanta and Boston. 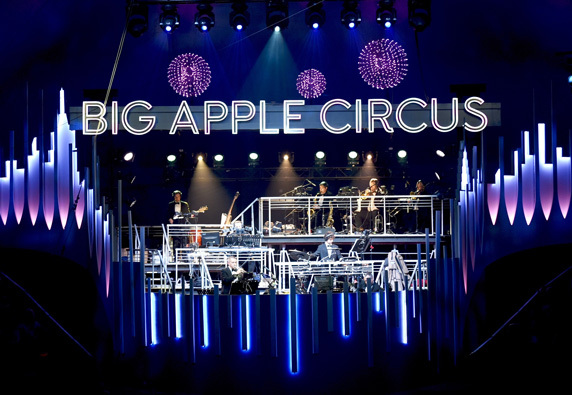 When on tour, the Big Apple Circus travels with about 50% of its core band, hiring local AFM musicians in whatever city it visits.